Bacterial vaginosis (BV) is the most prevalent vaginal disorder in adult women worldwide. 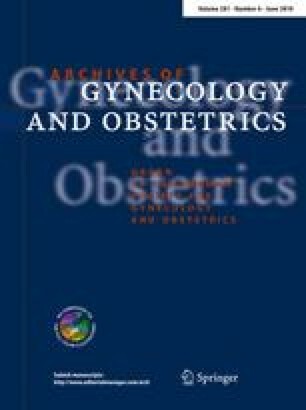 A number of clinical studies indicate that re-establishment of the physiological ecosystem by re-colonization of vaginal mucosa by lactobacilli may be an effective therapy for BV both after initial antimicrobial therapy or when given alone. A vaginal pH <4.5 is considered physiological and its measurement has been reported as an objective parameter, very sensitive to alterations of vaginal microflora and correlated with clinically relevant BV. The aims of this work were to assess the effectiveness of a long-term (24 months) intravaginal treatment with Lactobacillus rhamnosus (NORMOGIN®) on the vaginal pH and on the clinical symptoms in a group of 40 women affected by BV diagnosed by the Amsel criteria. A prospective open clinical trial was performed in 40 consecutive cases evaluated for B.V. by the Amsel criteria. Vaginal pH was above the physiological value of 4.5 in 36 out of 40 patients at the first visit. It returned under 4.5 value in 24/40 and 32/40 women after 12 and 24 months of treatment, respectively. pH values were significantly decreased at 12 month treatment (P < 0.001) and further reduction in pH values was found at 24 months of treatment (P < 0.02 vs. 12 months). The gradual return to a vaginal physiological pH was associated with a reduction of the intensity of symptoms as shown by the decrease in the symptoms score. The present study supports the use of pH measurement for sensitive, objective, and simple therapy follow-up in women with BV and shows that long-term administration of vaginal tablets containing Lactobacillus rhamnosus represents an effective and safe treatment for restoring the physiological vaginal pH and controlling BV symptoms.